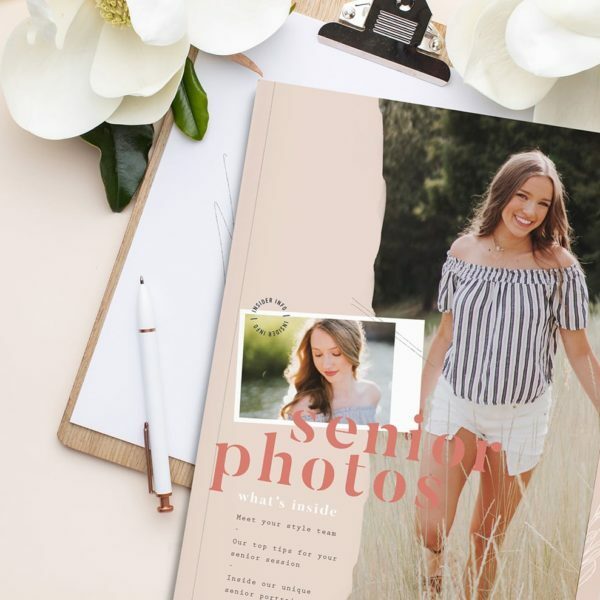 ALL NEW Extensive educational guide on posing senior girls. 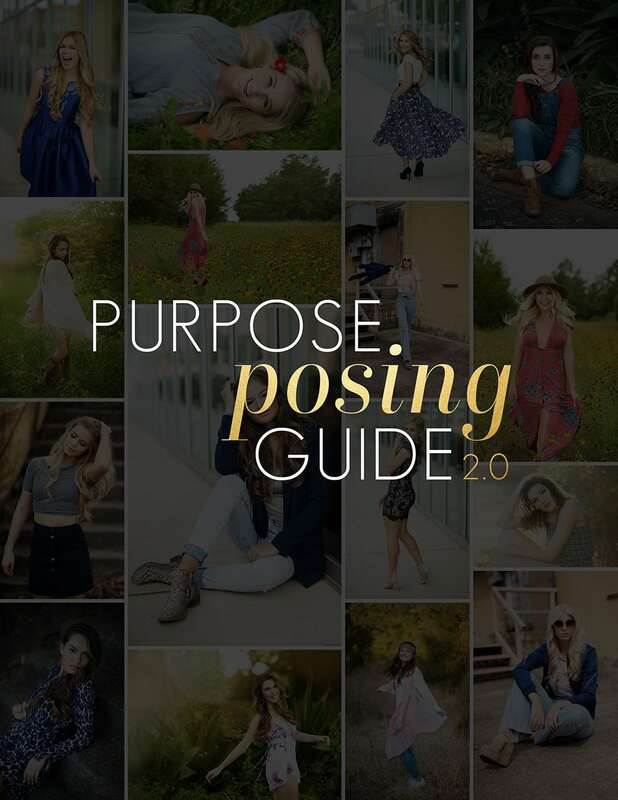 The PURPOSE Posing Guide 2.0 has surpassed its legendary predecessor and has moved into a completely new educational status. This posing guide not only features over 130 pages of detailed posing education, but it also goes above and beyond by providing alternative options to each and every pose. It features key elements and step-by-step instructional guides to each pose as well as several incorrect execution factors that can prohibit you from a successful pose. 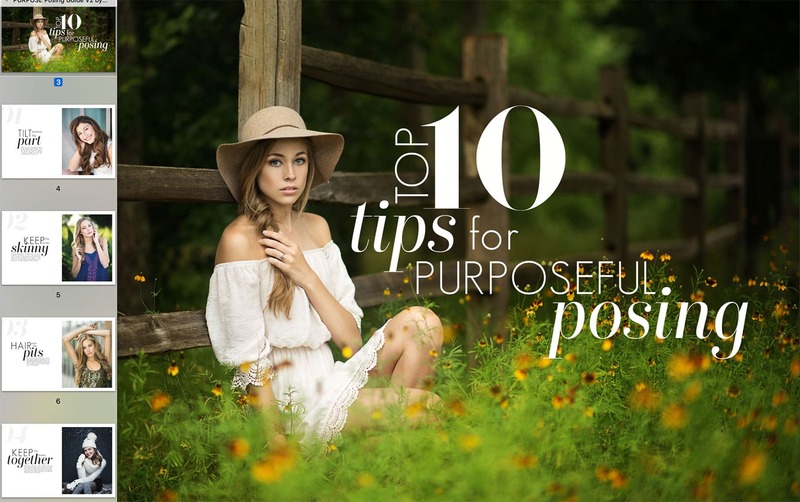 This guide begins with the top 10 tips for purposeful posing, showcasing subtle details that will help you refine each pose. The second chapter then moves into explaining and showcasing several examples of the incredible flow posing method to help you in maximizing your transitional posing techniques. 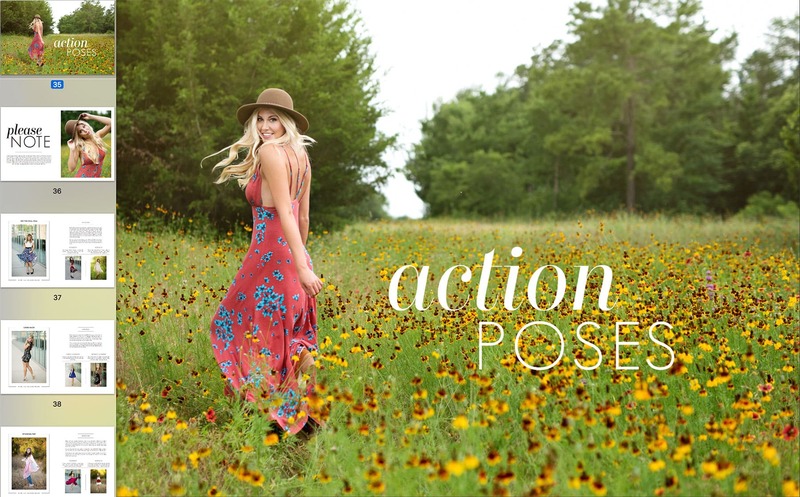 It then follows through with standing poses, action poses to create and capture editorial movement, sitting poses, squatting poses and laying poses with abundant detail and examples for each. 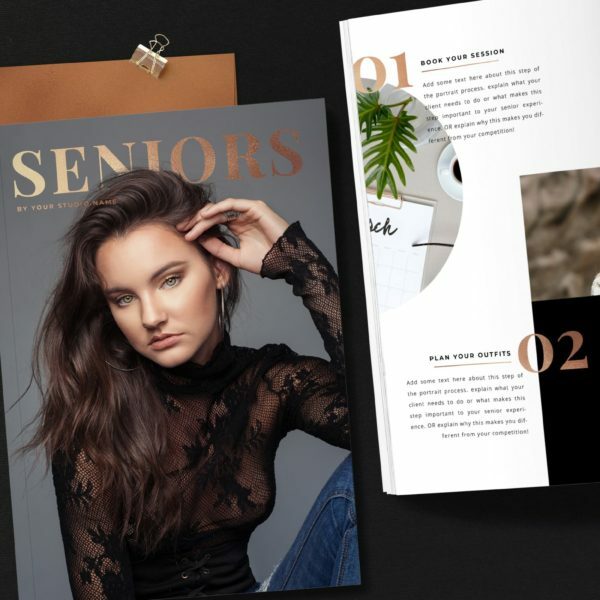 Featuring over 175 images, the Purpose Posing Guide 2.0 is setting the new standard in senior posing education. 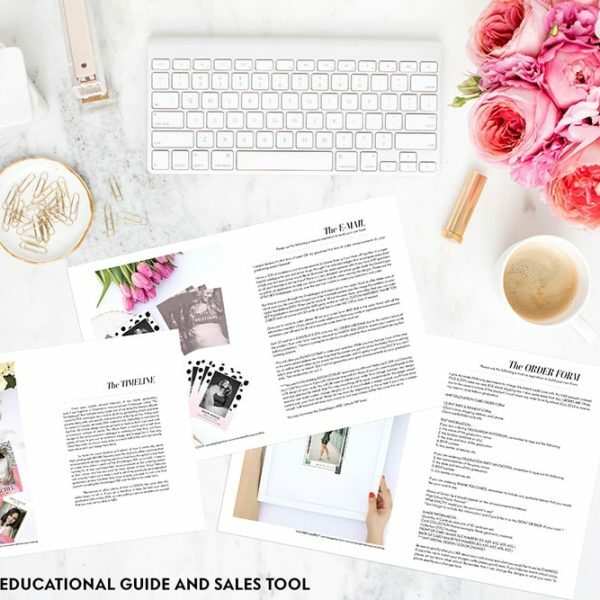 “I can’t even begin to say how impressed I was by Amanda Holloway’s original posing guide but this new version 2.0? It is going to be the new staple for my sessions. 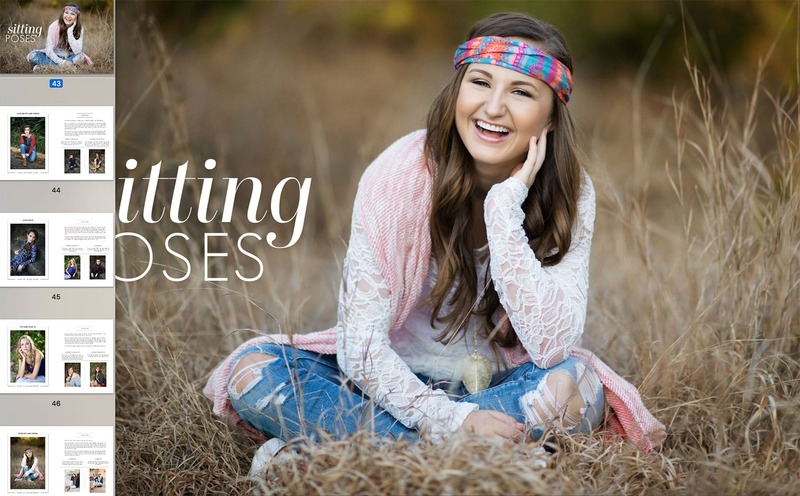 I have been photographing seniors and teens for 5 years and there is always something for us to learn no matter where we are in this business. Clearly after reading this guide that point has been driven home! Amanda has once again raised the bar with educating the community. No stone was left unturned in walking you through this process in the 70+ pages. The guide is comprehensive and my favorite part is the correct alternatives and incorrect alternatives! I am visual so seeing what is actually wrong helps me not to make the same mistakes! And full disclosure…I am guilty of a couple! And of course this is written in Amanda’s voice. Real.Authentic.Motivating. All the things people love about her. It makes it a easy read and you retain valuable information along the way. Personally, the flow posing section stood out to me because I struggle with that! And it was laid out in this guide perfectly with examples and how to’s. I am sure I will up my posing utilizing this method. “I don’t even know where to start in my review of this amazing guide! I’ve purchased a few posing guides over the years (and even have Amanda’s first posing guide! ), but this is above and beyond the best one I have ever gotten my hands on! 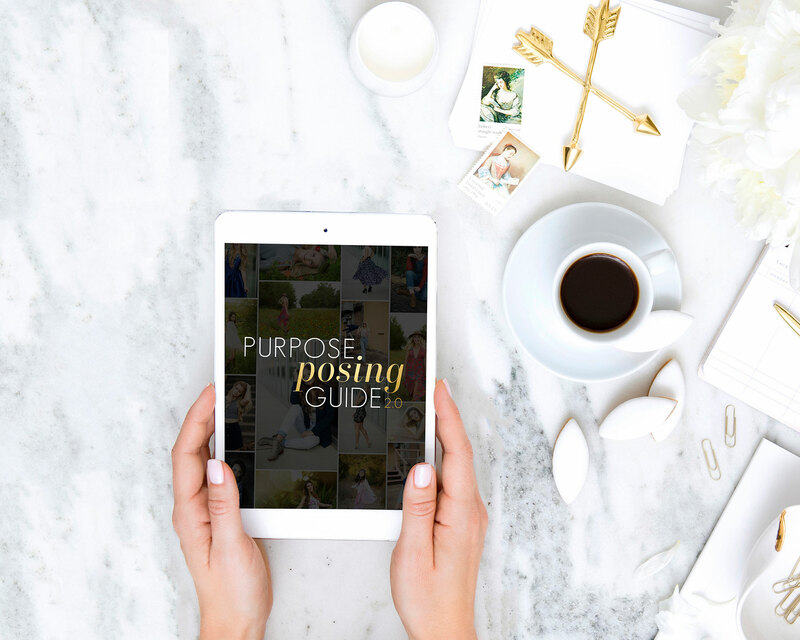 There are so many fantastic things about this guide but I think what truly sets it apart from other guides is that she explains why she does certain things in each poses (what makes it flattering, pleasing to the eye, etc) and she also gives you easy variations to switch up the poses if a particular pose isn’t working for you or your senior! It is easy to just put a picture in a guide and say ‘do this’, but Amanda goes beyond that and tells you why certain angles work or what types of things to look for and avoid when posing. It really makes everything ‘click’ when you see the visual alongside the explanations! Even beyond all the posing tips (and there are a LOT), this guide is just full of eye candy. Inspiration to the max! !